SI Yachts is proud to be one of the very first dealer annex parnters for HCB Yachts, formerly known as Hydra-Sports boats. HCB builds the world's finest luxury center-console yachts on the market today. SI Yachts has become a Factory direct Annex from Cape May to Boston. HCB, Hydra-Sports Center Console Custom Yachts Are Now Available. VONORE, TN – HCB Center Console Yacht continued its aggressive ascension as a yacht builder by signing Staten Island Yacht Sales as its Annex. 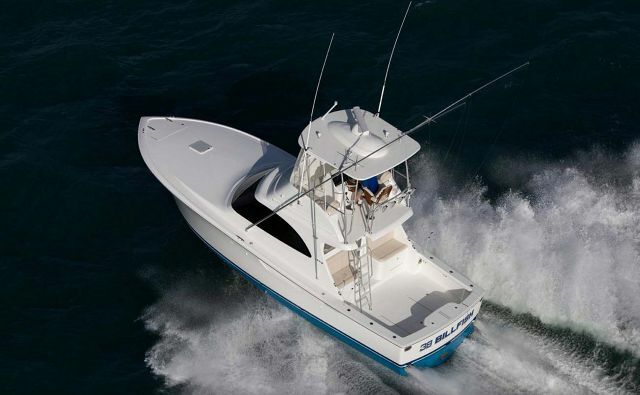 HCB’s Annex Program began with Plantation Boat Mart’s Islamorada and Palm Beach locations upon the company’s reincarnation as a custom boat builder in 2012. Since then, growing demand for its premium center consoles prompted them to expand their Annex partner program; which is a unique approach to marine retailing. The Annex Program goes hand-in-hand with HCB’s extensive customer care experience. Called the Crucero Experience,™ it is a highly customized approach that begins at customer courtship through the build process, commissioning, and ownership. It is designed to keep all phases of the process exciting and underscore the premium nature of HCB’s custom center console yachts. 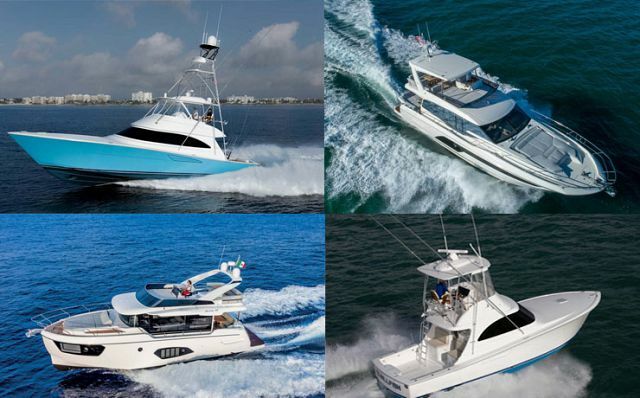 HCB Center Console Yachts™ creates custom, offshore center console yachts for the discerning custom buyer. 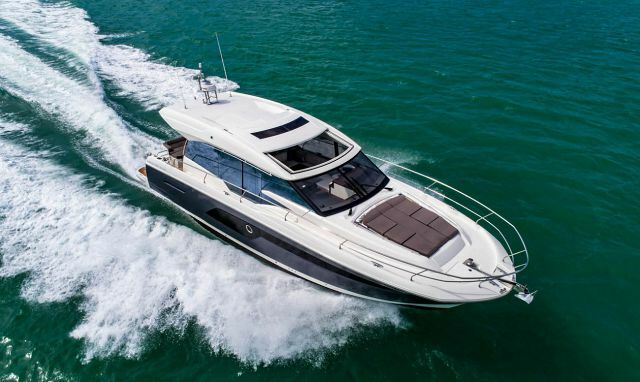 They offer models ranging from 39 to 53 feet, with a new 65-foot model being added this fall. This is the HCB Custom Yachts flagship. As the largest most desired center console ever built, the Sueños is capable of running at higher speeds in conditions other “boats” avoid. Custom fish boxes, coolers, and freezers are built-in components made by Frigid Rigid while the innovative tackle storage and a patented baitwell system give you the competitive angling edge. 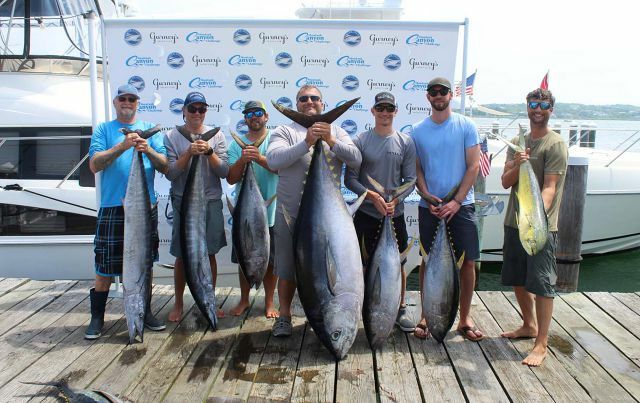 Choose from two (2) new fishing packages to customize your Sueños. With the largest and most powerful outboard engine in the world, unforgettable exterior styling and capability for over 2500 horsepower, this 53′ center console yacht offers performance when needed, plus agility and precision when on station or docking. The Yamaha or Seven Marine engine options not only promise to put a smile on your face each time you get behind the wheel, but the clean lines of the Sueños will sure to be the envy of all your friends. Every once in a while, something comes along that makes people look at things differently… the 42′ Siesta is one of them. Every once in awhile, something comes along that makes people look at things differently….the HCB Siesta is one of them. 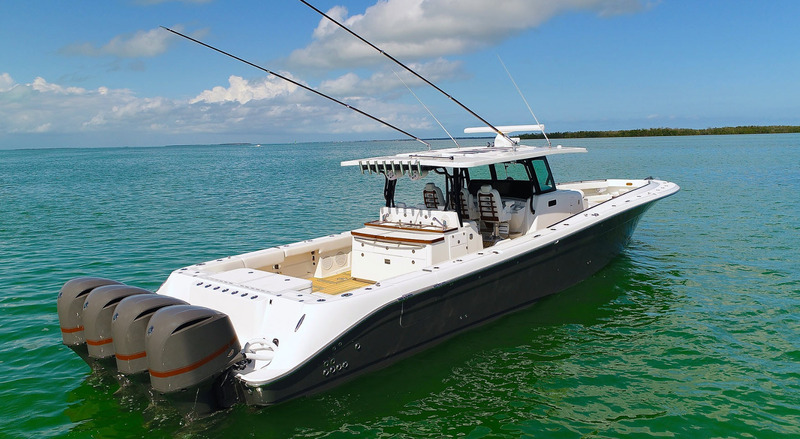 Not only does the Siesta come factory-loaded with the very best options in the marine industry, the Siesta is the ONLY 42′ Center-Console yacht rated for 4 V8’s. This provides sustained high-speed offshore operation in total comfort. The latest in the HCB Center Console Yacht lineup, the 39′ Speciale is an athletic masterpiece in design and innovation. The HCB Speciale is an athletic masterpiece in design and innovation with its striking exterior and beautifully finished interior. Designed after her bigger sister, the Suenos, no stone was left unturned or detail too small. At 39′, the Speciale is a center-console yacht designed to be powered with multiple engine configurations to accommodate all requirements.